‘Amakihi are endemic honeycreepers and the different islands have slightly different versions of the bird. 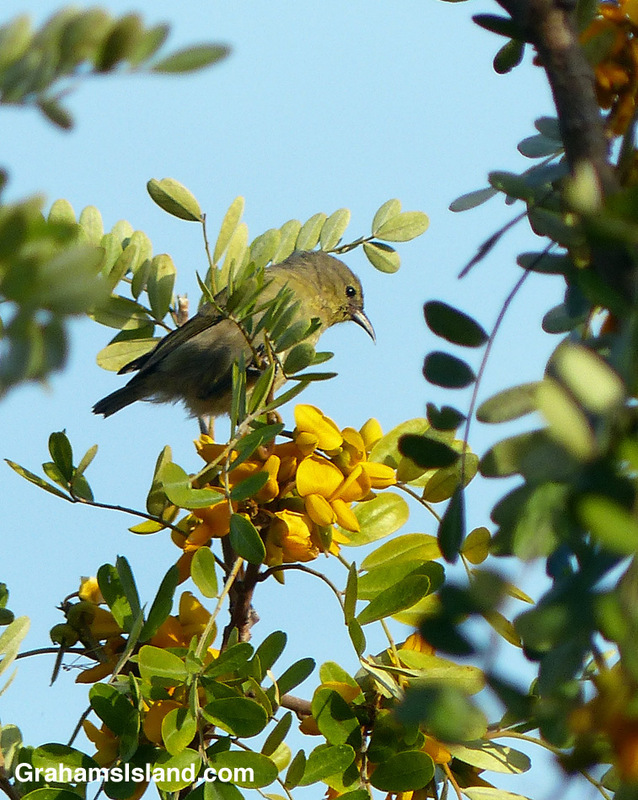 The Hawai‘i ‘amakihi is very similar to the Maui ‘amakihi, but the O‘ahu and Kaua‘i birds have more noticeable differences. They’re one native bird that has adapted relatively well to changing habitat and introduced diseases including avian malaria. 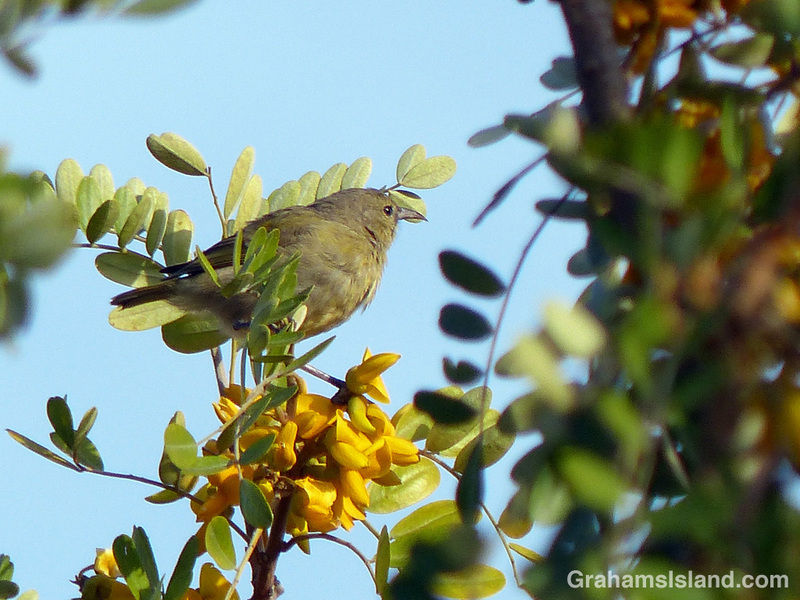 This one was feeding from bright yellow māmane flowers at the Palila Forest Discovery Trail on the southwest slope of Mauna Kea.